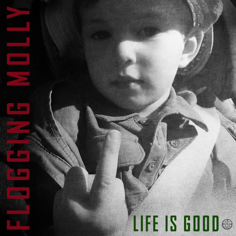 Aye yes, indeed lads and lasses Life Is Good as it has been six years since our ears have been favored by a studio album from our beloved Flogging Molly. On June 2nd, Life is Good via Vanguard Records will be hitting the airwaves. Life is Good was produced by Grammy Award Winning Joe Chiccarelli of U2, White Stripes, and Beck. 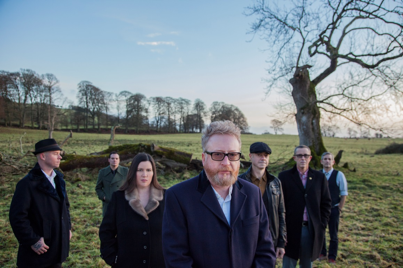 Recorded in Dublin, Ireland, this brings Flogging Molly fans something exceptional and highly anticipated as their music is like a smooth Irish Whiskey. Founded by Dublin-born frontman Dave King and fiddle-playing Bridget Regan, Flogging Molly has long been known and heralded for their powerful lyrics of resistance, history, and conflicts all while clasping the stories to be told in high-spirited songs and boisterous rowdy punk intermingled with traditional Irish music. Maybe it was a long wait, and perhaps our cups have been a bit dry, and our pub's wooden dance floors empty... but the wait has been worth it. Like the sweetheart waiting for her beloved sailor to return from the seas, or the blighter who is parched from days of no warm whiskey touching his lips, Flogging Molly has returned to reclaim her status. Fans can now breathe and quench their musical thirst as only the birthplace from the powerfully filled hills of Ireland can. She brings Flogging Molly back to her heartfelt pounding shores and has raised her flag again to sail the seas of Irish Punk'dom. Life is Good- it is crisp, honest, filled with anthems, dreams and wailing bagpipes and stinging fiddle playing. There are 12 tracks that will satisfy your soul and recall the days of raising toasts, laughter with friends, and a bit of rebellion against the powers that be.